Defying the global slowdown, <?xml:namespace prefix = st1 ns = "urn:schemas-microsoft-com:office:smarttags" />Vietnam’s economy is thriving and has the second highest growth rate of Asian economies. However as Vietnam reaps the benefits of its new found success, the lessons of the 1997 Asian Financial Crisis are not lost on it. In addition, the recent global economic recession and the experience on regulating the real estate market of neighboring countries - especially in China, Thailand and South Korea - are valuable reference points for addressing the problem of real estate bubbles and stabilising the housing market. Maintaining a steady growth GDP pattern of 7% annually since the adoption of the Doi Moi and open-door policy 20 years ago, Vietnam is gearing up into a new development period with a high acceleration. With a GDP growth rate in 2009 of 5.2%, rapid urbanisation is taking place and Vietnamese cities are inevitably facing housing challenges in line with other global ‘tiger economies’. Nguyen Manh Ha, Director of the Housing and Real Estate Management Department, Ministry of Construction, Vietnam is a speaker at the marcus evans Affordable Housing Projects conference taking place in Singapore. 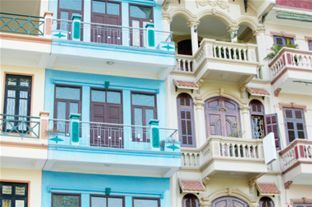 In line with this urbanisation trend, there has been a large relocation of households from rural areas to big cities such as Hanoi and Ho Chi Minh City. Accommodating the housing needs in such cities is a big challenge for the government in the years ahead, Nguyen added. The marcus evans Affordable Housing Projects conference will take place in Singapore on 2-3 August, 2010.